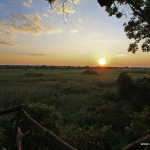 his peaceful sanctuary, situated on the south western edge of the Lake Bangweulu basin, is one of Zambia’s smallest national parks. 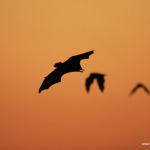 It’s 450 km2 however, are so well endowed with rivers, lakes, wetlands, forests, lagoons, meadows and dambos that it supports a uniquely wide range of animals and abundant birds and fish. 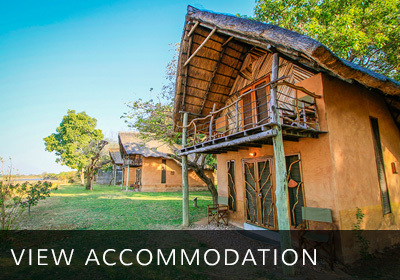 Not to be missed is the unique platform hide, 18m high in a giant mululu tree with a panoramic view over the Kapabi Swamp. 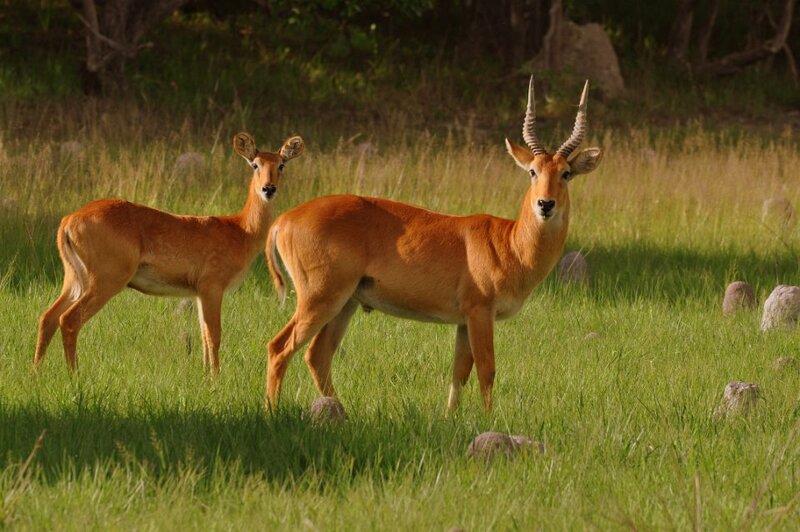 The rare and elusive sitatunga aquatic antelope feeds in the swamps below in the early mornings or late afternoons. 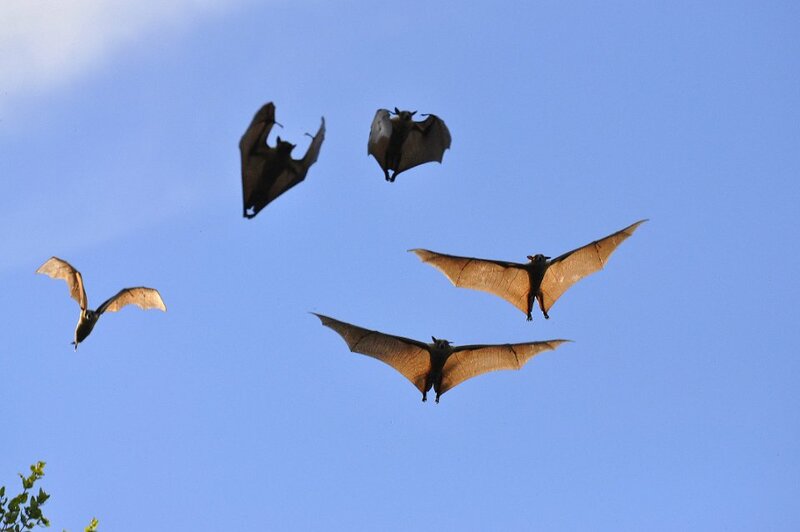 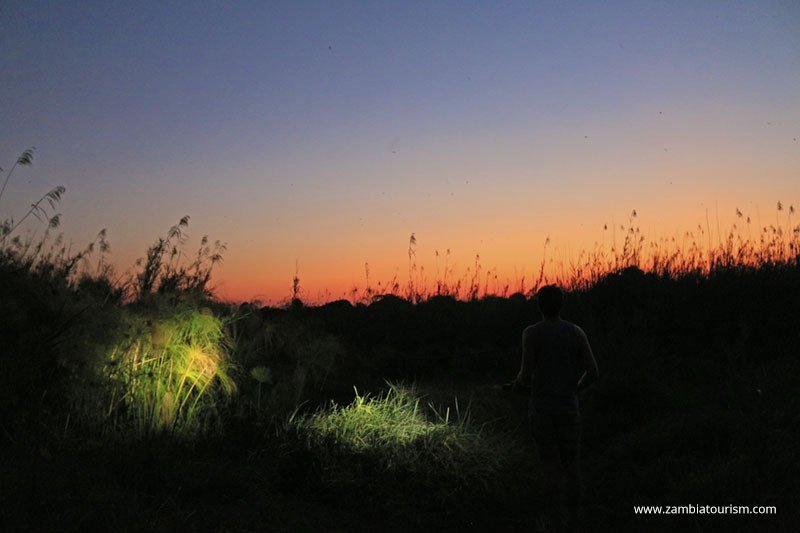 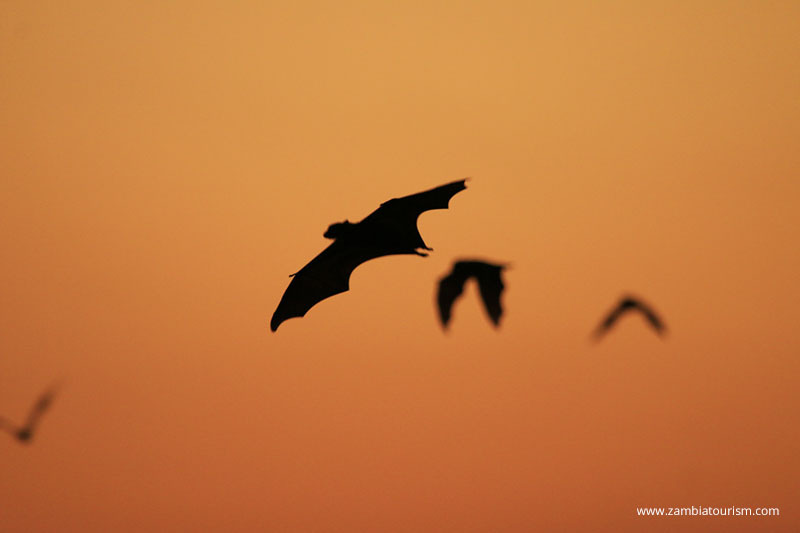 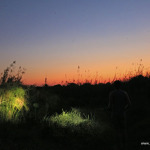 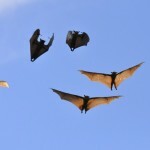 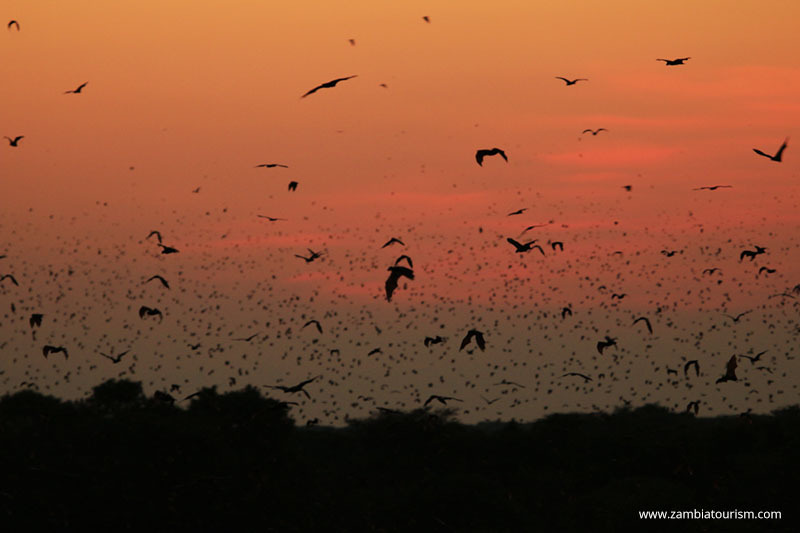 A startling site from the hide in November and December is the evening flight of several million fruit bats leaving their roosts in search of food, darkening the sky for a few moments. 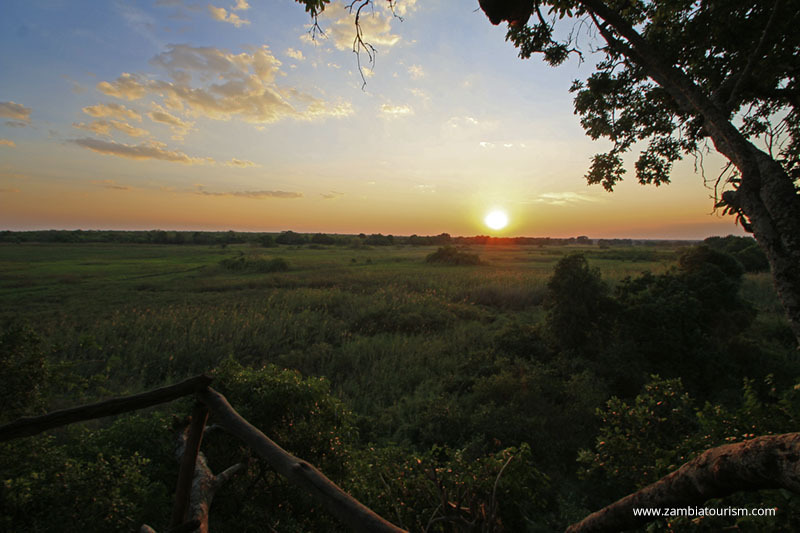 The Chisamba Wamponde pan attracts large herds of puku, spur winged goose and saddle-bill storks, and hosts many hippos and waterbuck. 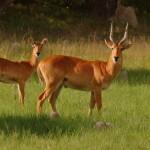 Duiker are often seen in the woodlands fringing the pan. 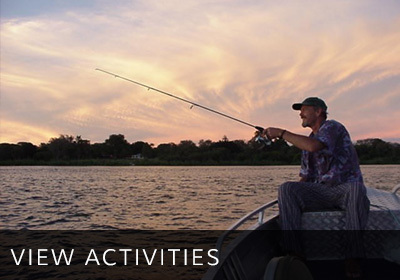 Lake Ndolwa is a beautiful and secluded spot where the shy shoebill stork has been seen in the papyrus reeds flanking the lake. 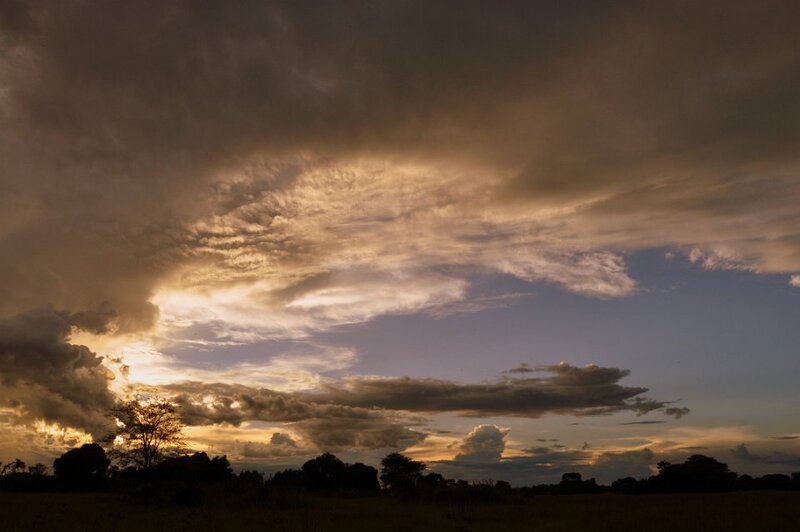 Chikufwe Plain is particularly rewarding in the early hours of the morning during the dry season. 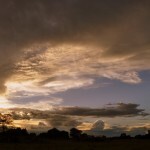 The plain is the favourite haunt of the sable and also attracts large numbers of hartebeest, reedbuck and occasionally a few zebra and buffalo. 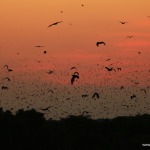 This is an excellent birdwatching site too, especially for raptors such as the black-breasted snake eagle. 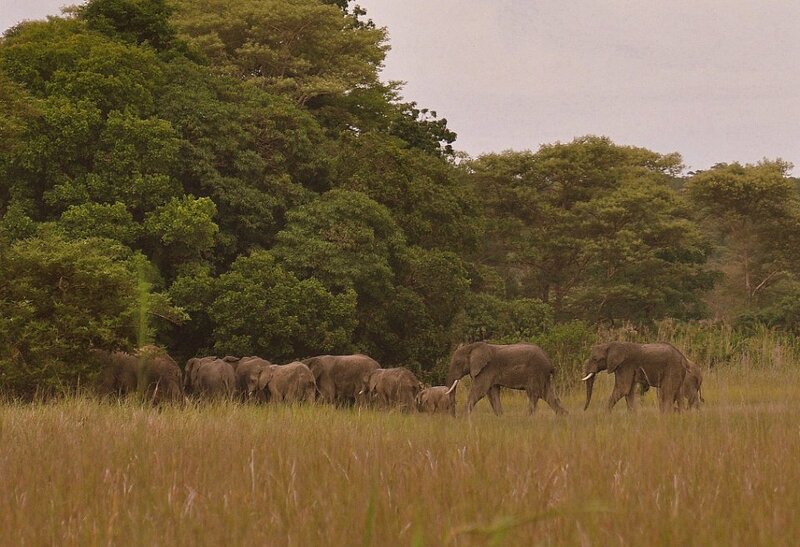 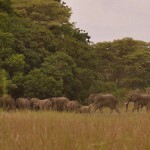 The World’s Largest Mammal Migration!